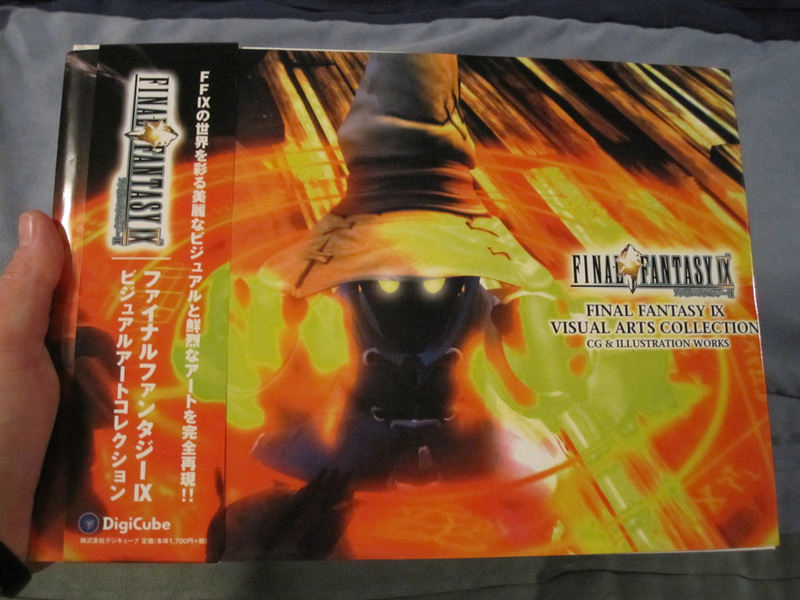 Editor’s Note: This article contains SPOILERS regarding the plot of Final Fantasy IX. Read with that in mind. There is something organic in listening to Final Fantasy IX’s magnificent score. It breathes naturally and instills a sense of realism to characters, settings, and events that can all be simply described on paper. But this is a “video game”, an interactive experience designed to entertain and implement varying game elements, all of which become a fully controlled interactive media. But in taking a listen to Final Fantasy IX’s 100+ soundtrack before writing this Origins piece, the game simply becomes more than that in definition. The written story of this Final Fantasy is forever locked in my memory as a part of who I am, and its music evokes the story’s language in a game where no characters have a voice of their own. Let’s consider that for a moment. Not one character is voiced in Final Fantasy IX. In fact, IX is the last sequential Final Fantasy to have not one character voiced by a human being. It’s the last in the series to be completely detailed in text and contain a level of communication that plays out more like a novel instead of film. 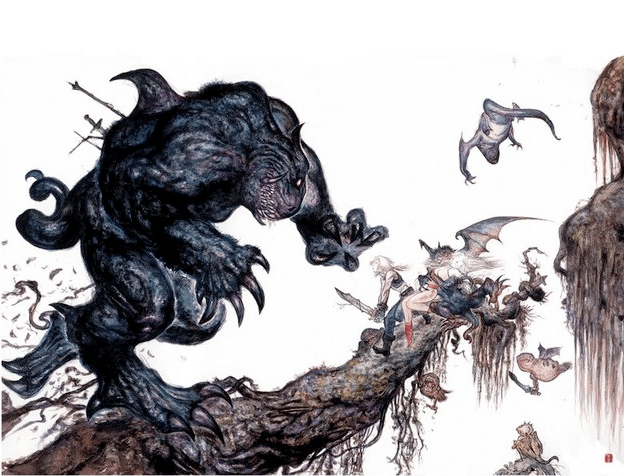 We use our minds to fully imagine what Zidane, Garnet, Vivi, Eiko, Amarant, Freya Quina, Baku, Blank, Ruby, Brahne, Kuja, Puck… what they all sound like. Though I think we all have a similar sense of tone for Steiner if I do say so myself. Yes, these characters are already created in a digital presentation so we can’t actually imagine what they look like, but at least we can decide what they sound like, and this is because each character has a soul. It’s ironic, isn’t it, bringing up the topic of souls when discussing Final Fantasy IX. The entire premise, the story’s existing plot, thrives and journeys to a conclusion based on the fact that Gaia’s souls have unknowingly been cultured for the merge with Terra. Zidane is who he is because Garland gave him a soul on Terra, but he questions his own life, his purpose, because he realizes he is supposed to be one of the final pieces of the puzzle in the destruction of Gaia. Yet Zidane understands that even if he was born to bring destruction to the ones he loves, he doesn’t necessarily need to fulfill such a fate because of the help of his friends. This is why the “You’re Not Alone” scene/theme from Final Fantasy IX is so powerful, and it defines itself as one of my favorite scenes in a video game. Final Fantasy IX is not the first Final Fantasy title that I had played, but it sticks with me for having its wonderful story and believable characters. Everything seems to be a story wrapped up in medieval fantasy until we reach Terra and learn the truth about Gaia and Zidane. I was ten years old when IX was released in stores, and there was no way I was going to be able to fully comprehend everything in the story. Instead I focused on the more basic plot elements and simple character motivations for my own young experience. But if you look at Final Fantasy IX and everything it’s made of, these basic elements are really what matter most. It’s a simple story about a young man with a tail that’s a part of a group, and that group has plans to abduct a princess. From there on out we learn of secret motivations, how power can blind who we thought was the antagonist, and eventually we see a love story unfold. It’s just all there, wrapped in a nice package with supporting characters that all seem to flesh out the story even more. You won’t see me analyze the battle system, the camera movement, or much of anything like that when it comes to Final Fantasy IX because it’s the characters that truly create the memorable experience for me. Sure, I enjoy the battle system but in every RPG I play it’s always about the characters and their stories. Although I will admit that the turn-based combat found in IX has influenced me to prefer that type of battle system to any other in the world of JRPGs. As I mentioned earlier, the music in Final Fantasy IX is just incredibly well done. I remember riding the school bus in the 6th grade listening to my imported soundtrack CDs that were originally produced by Digicube. I was already a fan of game music at the time, but when I started listening to Nobuo Uematu’s score I just fell in love. Every character theme evokes a particular mood for that character while each location comes alive because of the music. If you compare Zidane’s upbeat theme to Vivi’s theme of curiosity, it just makes sense. We are introduced to Vivi’s theme when he is exploring Alexandria for the first time. He’s learning his environment and we are being introduced to a new world. When we hear Zidane’s theme on the cargo ship in Dali we understand that this is Zidane’s nature to steal an airship and make it like it’s no big deal. If I may add, the battle theme never gets old and there is something special about Aloha de Chocobo that pushed me along in finding every treasure in Chocobo Hot and Cold. 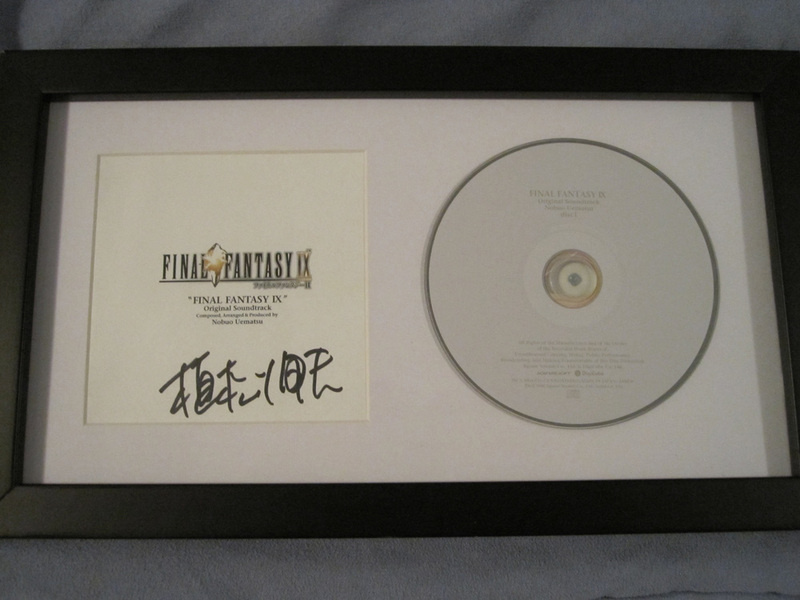 Signed by the composer himself, Nobuo Uematsu. On a more serious note, the theme for Daguerreo resonates some of my fondest memories in gaming. I will never forget the first time that I stumbled upon the island that Daguerreo inhabits, walking into such a soothing atmosphere, and actually wishing that I could visit such a place in real life. It’s just so soothing to walk around in an area that’s quiet, atmospheric, peaceful, and relaxing. The creators of Final Fantasy IX did something special here. They inserted a location into the game that’s a library, surrounded by water and shops for those who’ve searched hard enough to even find it to begin with. To me, it felt like a special achievement when I was younger and I still love visiting Daguerreo even now. I truly wish I could visit such a place on vacation. Yet Daguerreo is not the only location that’s memorable for me. 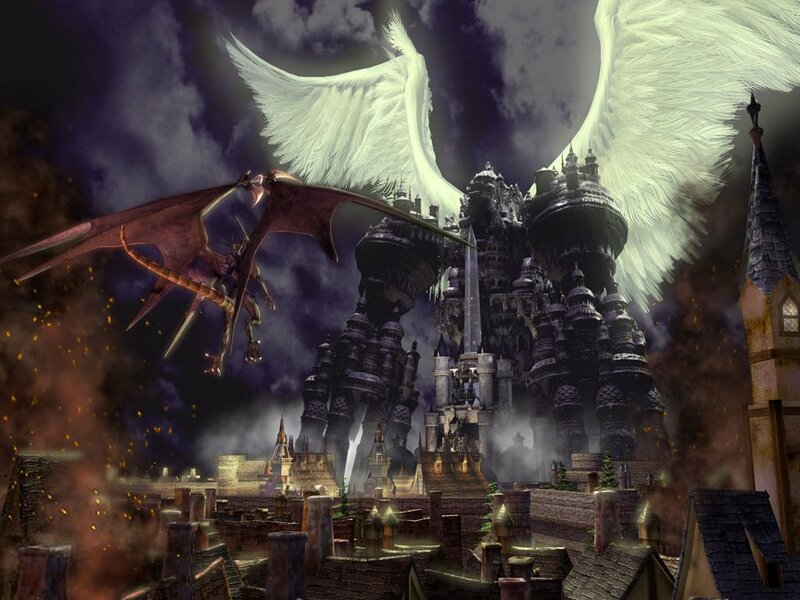 Final Fantasy IX set a standard for creative locations and interesting towns. Everything always seemed necessary in the fantastic layout design of Alexandria, Treno, Lindblum, Burmecia, etc. And with these incredibly detailed locations came fantastic moments of in-game cutscenes that I believe set a new standard for the future of gaming. I was so impressed by the artwork in IX that at one point over the years I purchased an artbook that details so much of the game’s scenery and characters. 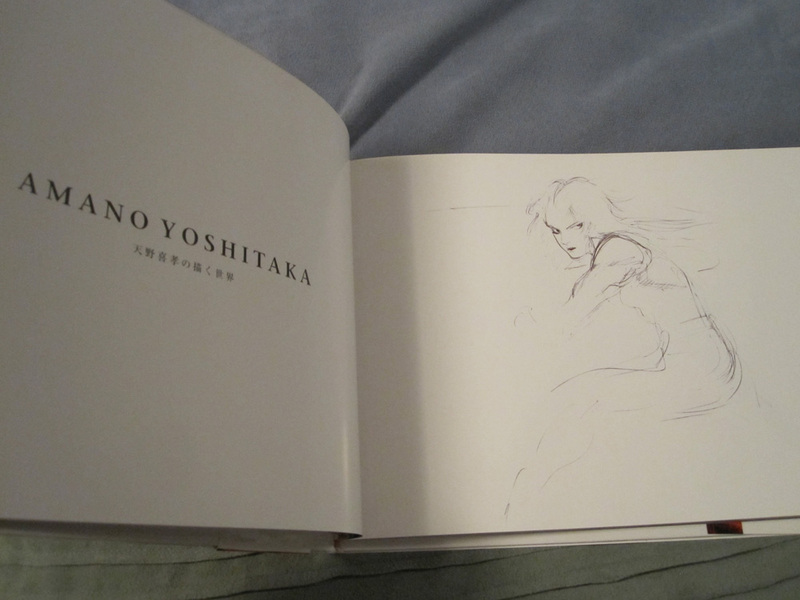 And just to gush even a bit more, in garnering an interest in the artwork behind Final Fantasy IX I was then introduced to the wonderful works of Yoshitaka Amano, of whom I now own a good number of his artbooks. Final Fantasy IX set the standard for who I am as a gamer today. Its influence is great and I can’t think of another game that encapsulates like this one. In recently playing through it again on a PlayStation 3, nothing has really changed in my feelings towards the game. If anything, I now understand more of the story elements related to Garland and Terra, and just why you fight Necron at the end of the game. When I was younger these elements didn’t really add up for me, so instead I solely focused on my favorite characters and sat along for the ride. Now that I see the narrative is a bit more adult in nature, I can fully appreciate that Final Fantasy IX was a title made for audiences young and old covering multiple generations of gamers. It’s too bad we probably won’t see another Final Fantasy quite like it, but in the end, maybe that’s for the best.